If you have followed my last couple of blog posts, you know that I’ve been traveling. 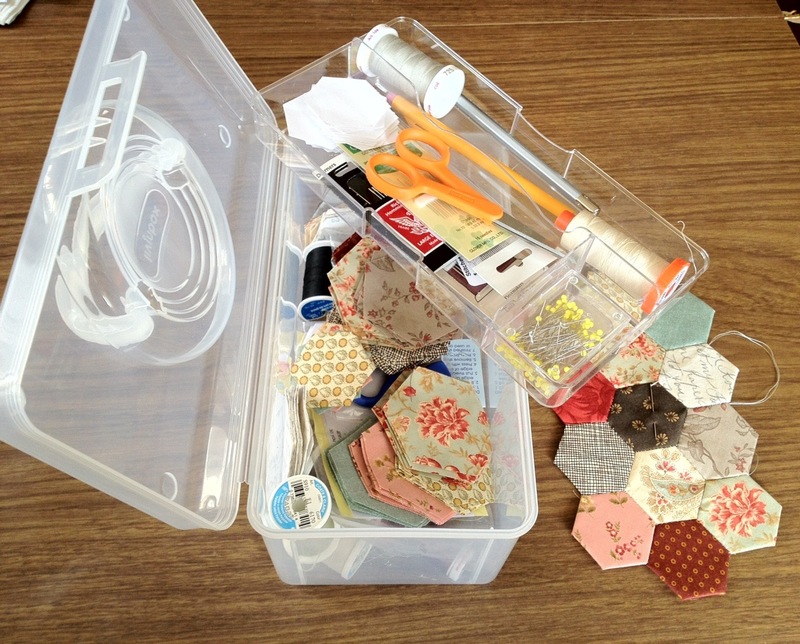 I brought the ultimate traveling sewing project with me – English paper pieced hexagons! 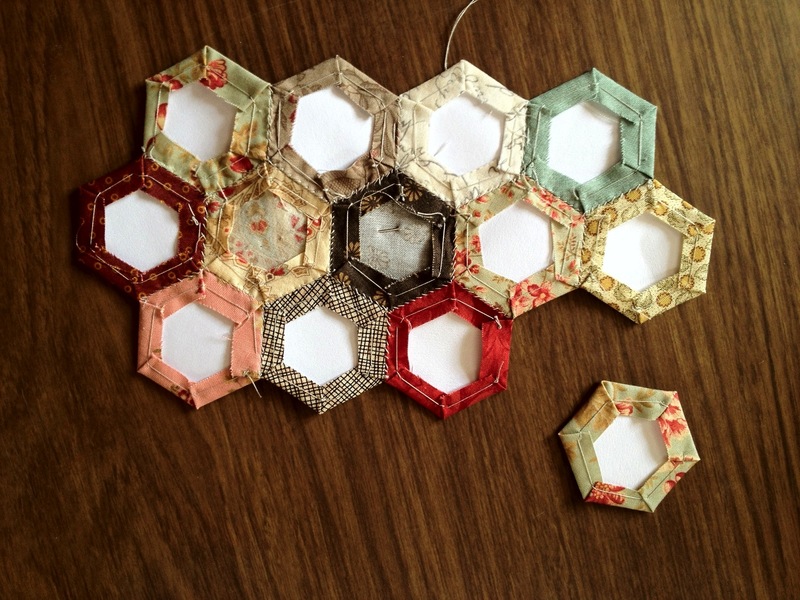 A group of hexagons sewn together. 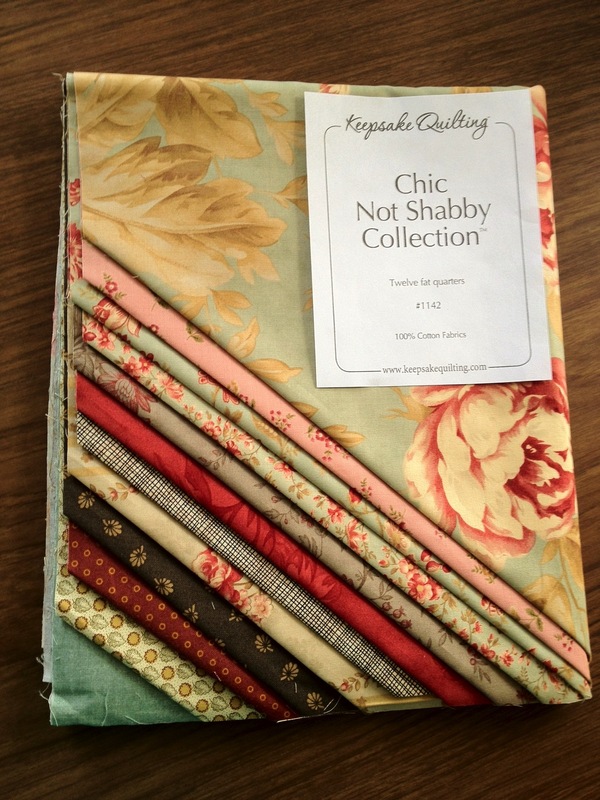 Before I left home, I grabbed this great set of fat quarters that my dear niece had given me. 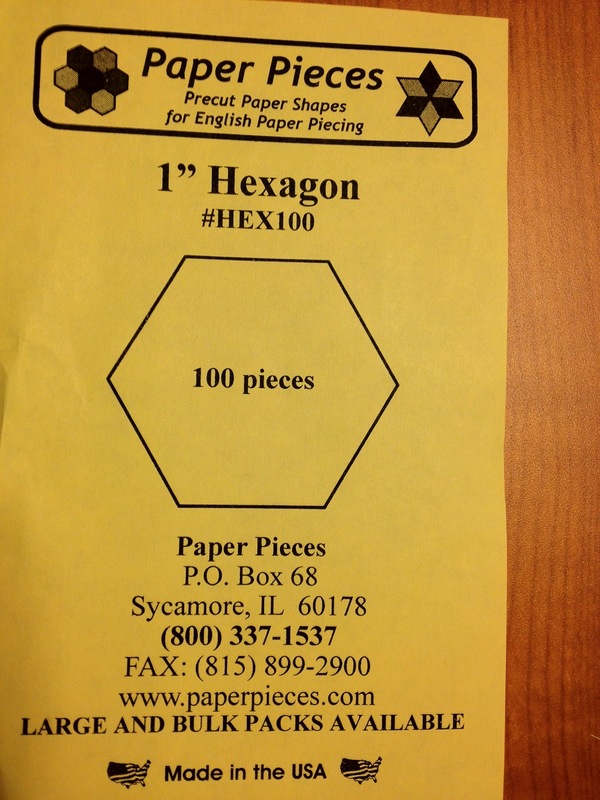 I had already purchased a package of 100 one-inch hexagon precut paper shapes. I found these at a quilt shop in Illinois but you can also buy them online here. They come in all kinds of shapes and sizes. 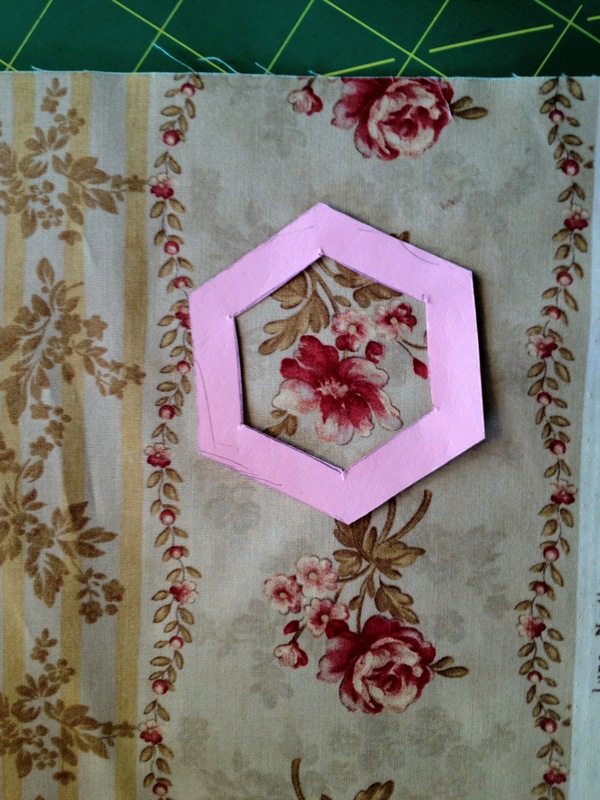 A 1″ hexagon means that each side of the hexagon measures one inch. These are made out of light card stock which is perfect. 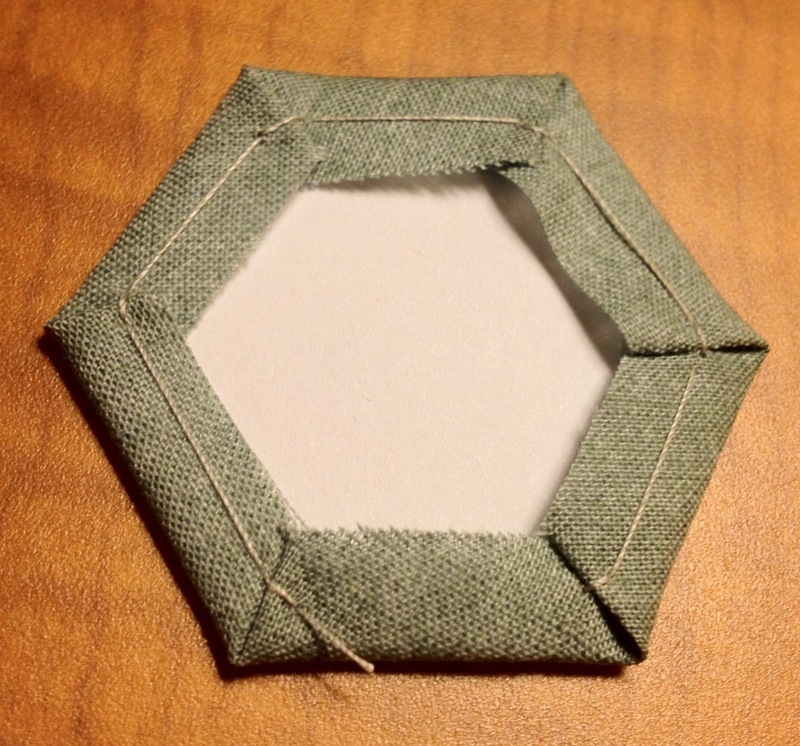 I also cut a couple hexagons out of some card stock I had that were 1/4 inch larger all the way around. I used these as a rough template to cut my fabric with. 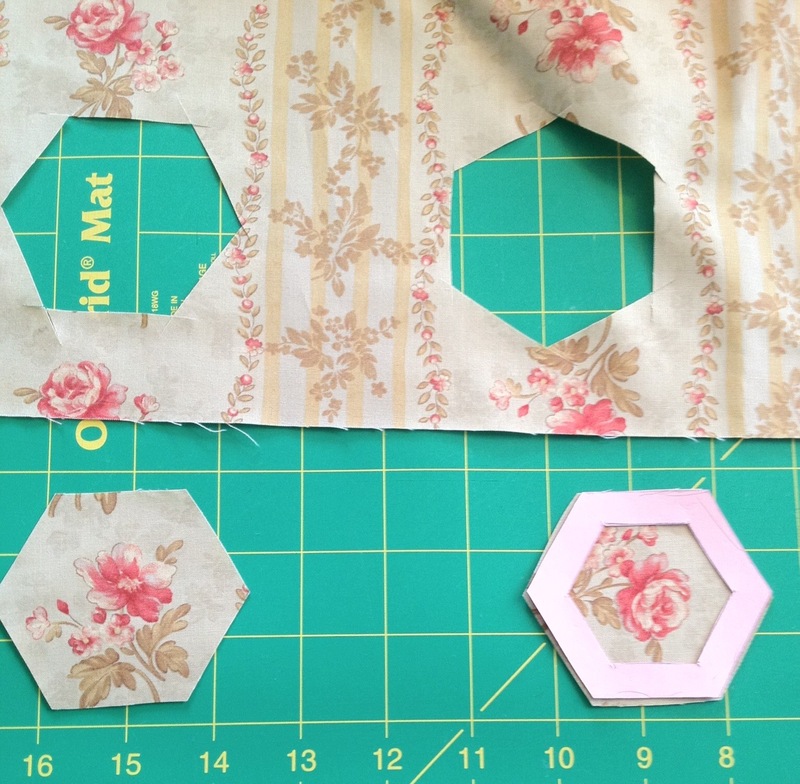 I simply cut the fabrics into strips, stacked about 4 strips, and then used a rotary cutter to cut around the hexagon template. Some of the fabrics had patterns on them that I felt would look better if they were not randomly cut. In order to “fussy cut” these fabrics, I cut the 1 ” shape out of the middle of my template, placed it where I wanted on the fabric and cut each one out individually. Using template to see what final hexagon will look like. 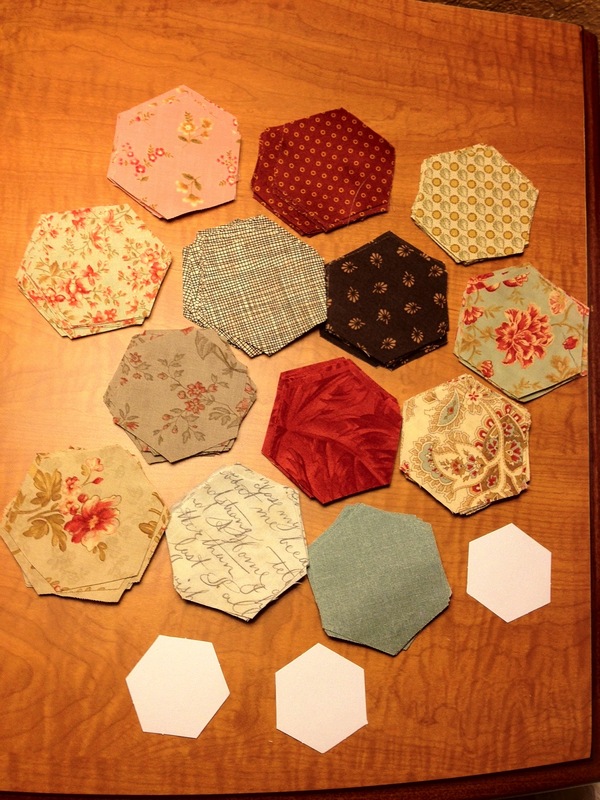 This gave me a wonderful collection of fabric hexagons which are the right size to use with my 1″ papers. 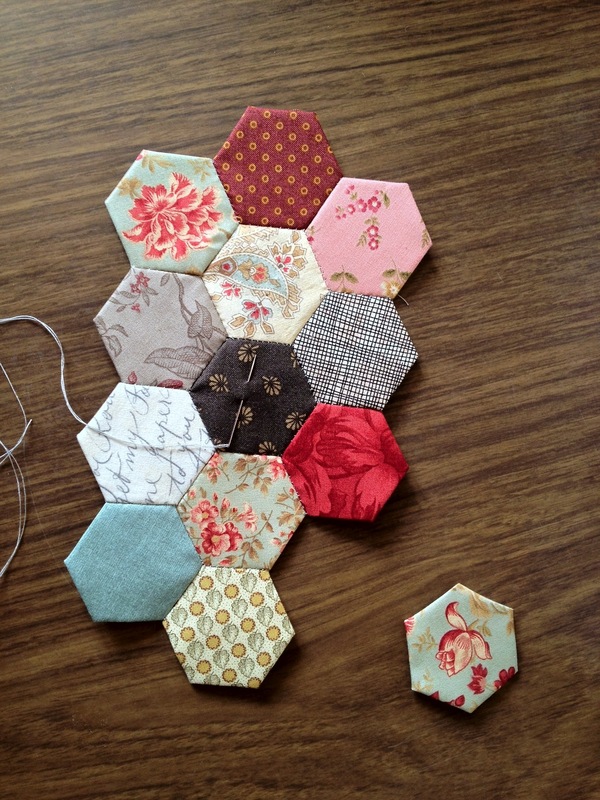 Fabric hexagons and paper pieces. There are a lot of different instructions for english paper piecing. Some have you actually baste the fabric to the paper which I do not like to do. I hold the paper against the wrong side of the fabric, fold over one side, then another and baste the fold where they intersect. Keep doing this around the shape until all sides are basted down. After basting many of these, they can be whip-stitched together by putting right sides together and sewing one side at a time. It is an extremely accurate way of piecing geometric shapes together and is all done by hand. This is what makes English paper piecing so great to travel with! Small pieces, needle and thread. So little to carry with you! 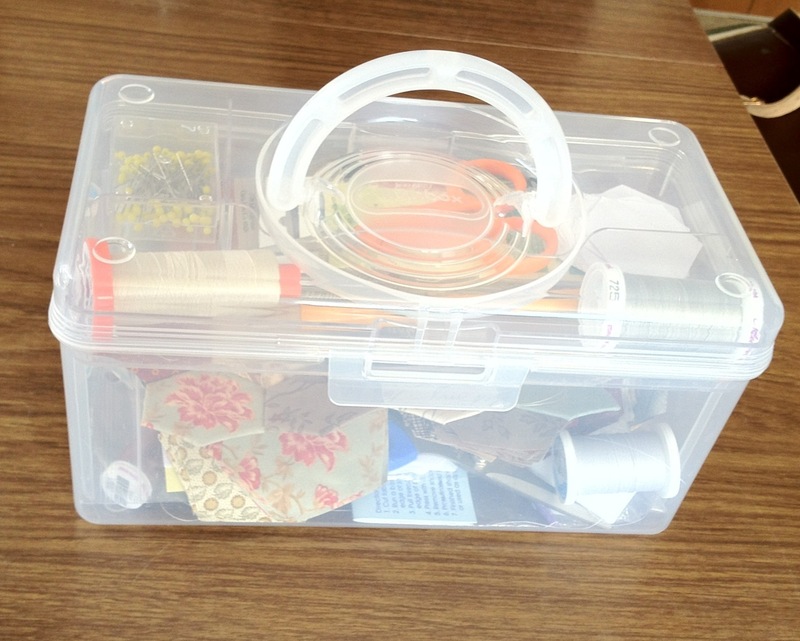 Here is the little case I carry this project in which I bought at the Container Store. 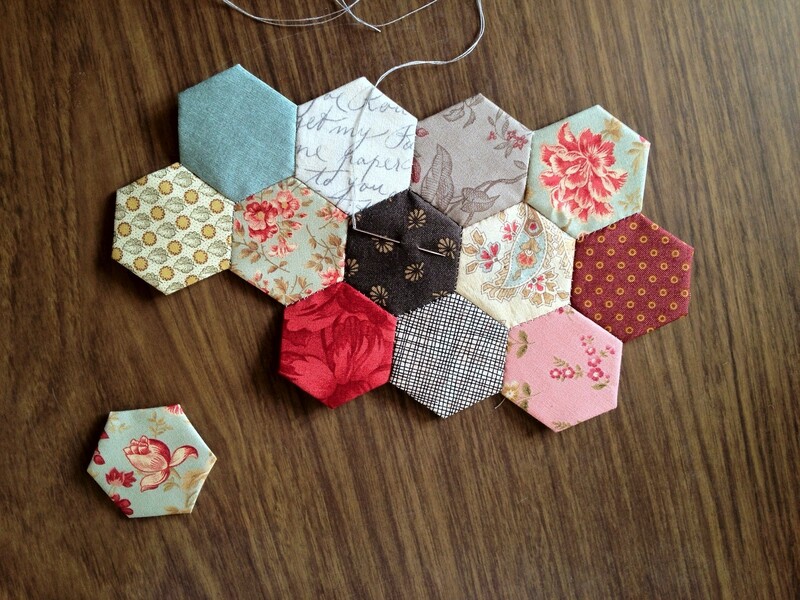 I’m not sure what I’m going to do with my hexagons. I’m thinking of making a tote bag or pillow. I guess it will depend on how many I get put together.